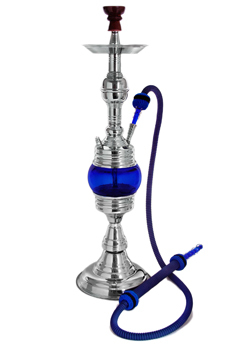 Waterpipe or hookah smoking is a popular phenomenon not only in Middle Eastern and South Asian countries, but also among young people in the U.S. Hookah practices have seen a major resurgence in recent years after introduction of the sweet and flavorful “shisha” that is smoked through the waterpipe. There is relatively little research in the scientific literature addressing waterpipe usage and health effects. Dr. Mark Travers, from Roswell Park Cancer Institute is currently conducting experiments testing the emissions from hookahs and comparing this to other smoked tobacco products like cigarettes. Dr. Maansi Bansal-Travers, from Roswell Park Cancer Institute, examines smokers’ perceptions towards cigarette pack colors, warning labels and descriptors like “light” and “mild.” By utilizing research methods such as web-based surveys, along with cross-sectional mall intercept surveys, Dr. Travers reveals the smokers’ attitudes towards these attributes, and how they may affect the consumers’ ideas of the cigarettes they choose. The Impact of Cigarette Pack Design, Descriptors, and Warning Labels on Risk Perception in the U.S.
What Do Cigarette Pack Colors Communicate to Smokers in the U.S.? ITC Investigators Dave Hammond and Ron Borland discuss the changing landscape of cigarette packaging. Hear why graphic warning labels are effective deterrents against smoking, and how plain packaging is one of the most important innovations in tobacco control. .
Cigarette companies are not allowed to advertise to young smokers in Canada, but have they found a way around this by making their packaging prettier? As part of an ongoing international study currently in 19 countries around the world, the ITC Project has released a report focusing on tobacco warning labels, prepared for World No Tobacco Day. The ITC report on warning labels concludes from cross-sectional and longitudinal studies of text and pictorial warnings across many ITC countries that graphic pictorial warnings are more effective than text-only warnings. Dr. Michael Cummings, chair of the Department of Health Behavior at the Roswell Park Cancer Institute, recently interviewed three experts in the field of health warning labeling on tobacco products: Dr. David Hammond from the University of Waterloo in Ontario, Canada; Dr. Maansi Bansal-Travers from the Roswell Park Cancer Institute in Buffalo, NY, and Dr. Ron Borland from the Cancer Council Victoria in Melbourne, Australia. These researchers discuss the research that has been conducted in tobacco warning labels and the findings that show that large pictorial warning labels are the most cost-effective way for governments to educate smokers about the health risks from smoking and increase motivation to quit. Specifically, graphic pictorial warnings: (a) are more noticeable and domonant than text warnings, (b) hightens awareness of about the harms of smoking, (c) motivates smokers to quit smoking. The findings provide compelling evidence of the effectiveness of pictorial warnings and support the strong FCTC Article 11 Guidelines, adopted at the Third Conference of the Parties in November 2008, which call for pictorial warnings on at least 50% of the package. The International Tobacco Control Stamp exhibit includes anti-smoking postage stamps from 65 countries worldwide. In conjunction, the exhibit highlights prominent newspaper and magazine coverage from January 11, 1964 the year U.S. Surgeon General released the infamous “Report on Smoking and Health.” The United States has yet to release an anti -tobacco stamp. This traveling exhibit along with the American Medical Association urges the US postal service to design a stamp commemorating the 50th anniversary of the release of the U.S. Surgeon General’s Report on Smoking and Health. Secondhand smoke poses a serious and immediate threat to the heart. Enforcing strong smoking bans protects hearts. “Warning, Secondhand Smoke is Hazardous to Your Heart” focuses on the link between tobacco and heart disease.